In an age where the music trends in rock and metal music seems to center around a gold-rush towards any possible angle and interpretation of the term “progressive”, dare I say we’ve reached a point where its significance seems worn off. More than a mere trivial label tagged on to mindful, creative compositional approaches, “progressive” sometimes seems to be losing its edge as it slowly draws towards structural and tonal standardisation. 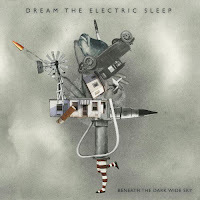 Fortunately, Lexington’s Dream the Electric Sleep serve as an exception to the trend, restoring the thrills brought by music born from truly creative minds. Returning here with a 3rd record under their belt, the band pulls no punches and gives us an album that is bound to thrill rock enthusiasts in search for something new. Borrowing from the likes of Shoegaze, Pop, psychedelic and metal, Dream the Electric Sleep merges its influences on Beneath the Dark Wide Sky and offers us an album that is both accessible and forward-thinking in its approach. 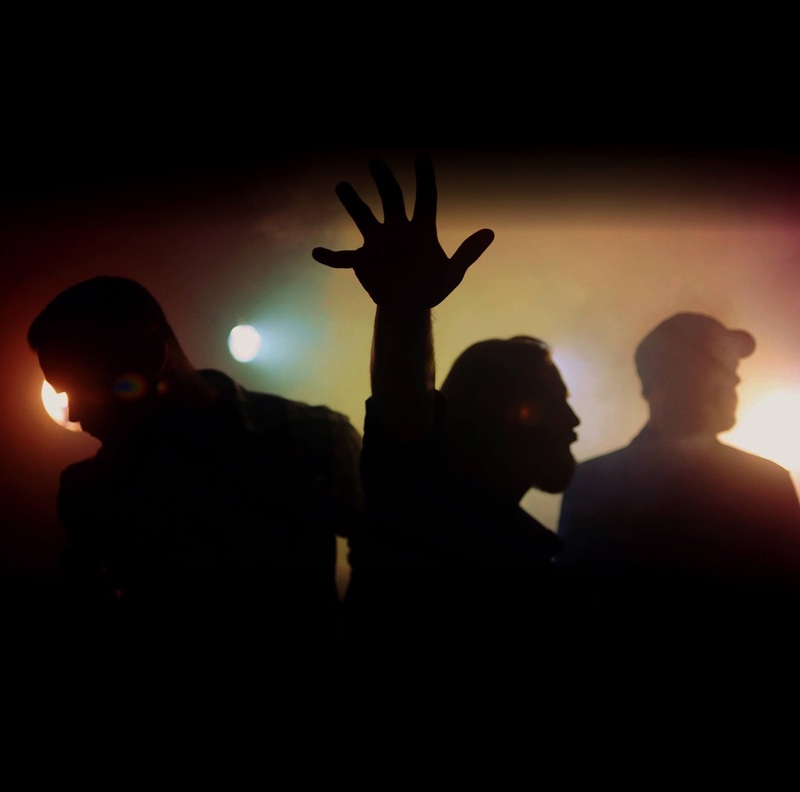 Here to answer a few questions on their latest release, I was thrilled to get a hold of Matt Page for a quick interview. As a band we really work to create a space where each member can bring their diverse influences to the writing process. Since we are all a big part of the writing process it is imperative we be open, generous and supportive of this kind of genre bending experimentation. That being said, the overarching mantra of the writing process is “nothing is sacred”. Though we all bring these different ideas to the table, we all are willing to drop any part or rewrite any part that needs it. In the end it is all about the overall song and as long as we are all happy with that, we move forward to recording it. For me, my earliest influences were Metallica, U2, GNR, Simon and Garfunkel, and Rush. I was probably around 12-14 when I was listening to these things. Of course there were many more but those are the standouts. I never intended to play music. I was an art kid in school but my mom decided to get me an acoustic guitar for my twelfth birthday. I started poking around on it and then one day something just started to click and it was like wildfire spreading. I never looked back! Last month you released your 3rd full-length record, titled Beneath the Dark Wide Sky. First off, could you give us a quick word about the albums title and album art? 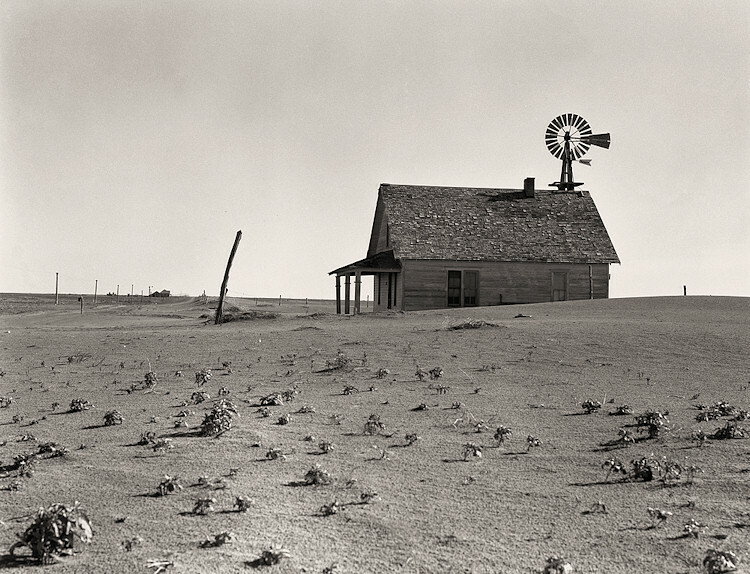 Beneath the Dark Wide Sky is inspired by photographs taken of the Dust Bowl in the 1930’s by American photographer Dorothea Lange. Lange worked for the United States Works Progress Admiration and hoped her photographs could be used to educate the masses (via photo essays in major news publications and magazines) to the poverty and desperate living conditions of thousands of farming families and migratory workers who lived and worked in the drought-struck American Great Plains. Lange believed photographs had the ability to shine an objective light on issues of social justice and environmental degradation and could be used to persuade and motivate social and political change. Much of what motivated Lange motivates me as the lyricist of the band. How does art inform the way we understand the world we live in and can it motivate us to challenge and change our assumptions? I am not sure there is an easy correlation, but I am very interested in those who try to bridge the gap between art and life. One of my good friends from graduate school, Nil Karsten (http://www.nilskarsten.com/) is a fantastic collage artist. A couple years ago I saw him give a slide presentation of new work and I thought it was amazing. He had been a long-time supporter of the band and I asked if he would be interested in making some collages for the album cover and he was thrilled by the idea. I sent him some really rough demos and he began sending me collages. He probably sent 15 or 20 of them over a two-month period. When I saw the collage we finally decided to use, I knew it was the one, and the rest of the band agreed. We are so happy with what Nils has contributed to this project. He really captured the feel of what we wanted the album to look and feel like. This record marks somewhat of a stylistic shift for the band. Was there a particular goal or idea in mind when it came to shaping this album? We always start with the idea that whatever we write has to feel good to us first, then we can step back and ask if it is the kind of direction we want to move in artistically. Sometimes we write a good song and are happy with it but then after a few weeks, we might get rid of it because it isn’t taking us in the direction we want to go overall. For this album, we knew wanted it to be a little tighter and more deliberate. We felt the past albums were a little out of our grip, like we couldn’t hold onto the thing we were after. This time we really tried to keep a sharper focus and try to capture more of the bombastic nature of the band. We are a loud band with a little edge and we wanted it to feel like that. More focused on the performances and capturing the sonic nature of what we do. For this record you decided to call upon Nick Raskulinecz to produce the record. What first got you familiar with his work and which aspect of his work drew you towards working with him? Nicks albums are big and bombastic and like I mentioned in the previous answer, that was something we wanted to bring to the sound. We weren’t sure he would work with a smaller, less known band like us, but he was really into the demos and the sounds we were making and after spending a weekend with him we all agreed it was a great fit. We all liked we he had done on the Ghost album he produced as well as with Big Wreck. It just seemed like there might be a cool chemistry there and we were thrilled to get in a studio to see what would happen! Being a sucker for all dream-related matters myself, could you tell us about one of your most noteworthy dreams? I have reoccurring dreams of tornados. I have had them my whole life. They are vivid and wide open. I can feel the wind beating down and in the distance I always see a funnel dropping from the sky. I am always outside watching as it barrels towards me. In my dream I am always looking for a ditch or low-lying land. I fall to the ground and grab the grass with my hands. Often the tornado takes me and I forget everything after that. As I have gotten older the tornado takes me less and the dream will continue on. I know it is about overwhelming fear, the unknown, the faceless onslaught of things out of my control. Maybe I have learned to accept much of what happens in waking life is beyond my control and the tornado passes like all bad weather now. To finish off : could you each name one of your favorite albums, movies and books? A huge thank you goes out to the band as well as to the staff at HIM Media for making this interview possible!